Nirperformance talked to FOSS specialists Hanne Winning and Jacob Riis Folkenberg about the current challenges and potential of on-farm silage testing for better management of cattle nutrition. Silage testing today – what are the challenges? Large dairy farms, with typically around 1500 cattle or more, are very dependent on the exact composition of the individual feed ingredients they mix to TMR which they feed to the cows. Typical for these large farms is that they produce most of the silage themselves. 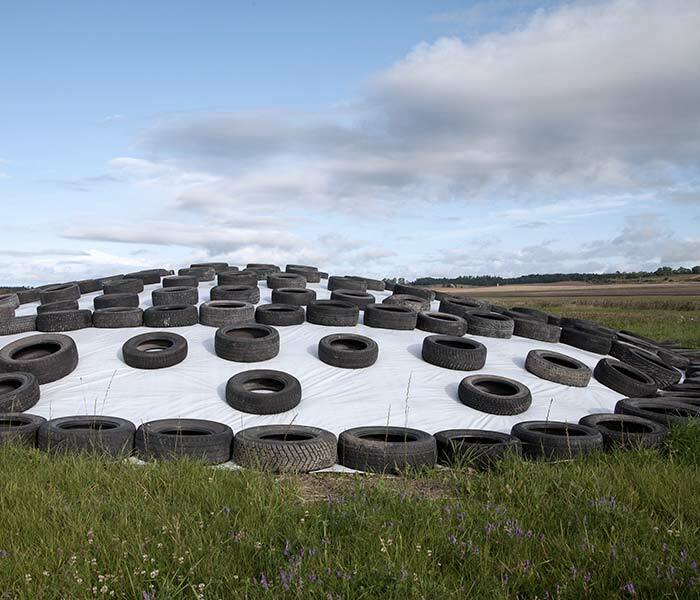 But even if they have control of this, they know for a fact that the nutrition of the different silage batches differs a lot,” explains Hanne Winning. This is why farmers typically take samples each week and send them to a reference laboratory. The problem with this, Winning continues: “Is that they get the answer with a couple of days delay. During this period they have already fed the cows based on calculations, which are several days old. The farmer feeds his cows twice a day and having a big farm, a large proportion of the silage batch is consumed. It is a fact that the nutritional composition changes a lot from batch to batch but also within the same batch depending on where in the pile you take the sample,” says Winning. “Knowing the exact composition each time you take a sample is therefore very beneficial.” Testing on a regular basis allows farmers to achieve this knowledge without the delayed action of sending samples off to the lab. Hand-held NIR seems like an ideal way for farmers to perform easy, regular testing of silage. However, as Hanne Winning explains, the problem of sample presentation still poses a challenge for hand-held NIR: “In the ideal world the farmer can bring the handheld NIR to the silage and measure directly on the pile,” she explains. The problem is that the most varying parameter is, in fact, the sampling. This means that the farmer would have to take samples from many places in the pile and blend in a bucket. And then he might as well draw a sample and place it on a bench top instrument. While handheld NIR might prove a practical solution for the future of on-farm silage testing directly from the pile, the advantages of bench top are clear. “At this stage the technology of the handheld instruments is not good enough, so farmers wanting to start out with regular testing are better off with a bench top instrument in terms of sample presentation and accuracy,” says Hanne Winning. What does it take to benefit from on-farm silage testing with NIR? Whether the results are being derived from bench top or hand-held instruments, farmers still need to understand how to use the information. “Before investing it is necessary to have a clear understanding of how to put the new and much more regularly available results from the NIR into the TMR calculation,” says Hanne Winning. “However, this calculation is normally performed by the nutritionist who is not necessarily available every day. Therefore, farmers intending to use NIR for regular silage testing to improve the nutritional value of the feed mix need to know how to use results to adjust the TMR,” she concludes.